Preheat oven to 425°F. Toss grapes with oil and salt and arrange in a single layer on a baking sheet. Roast until the grapes have begun to burst, about 10-15 minutes. Stir together yogurt, honey and orange zest. 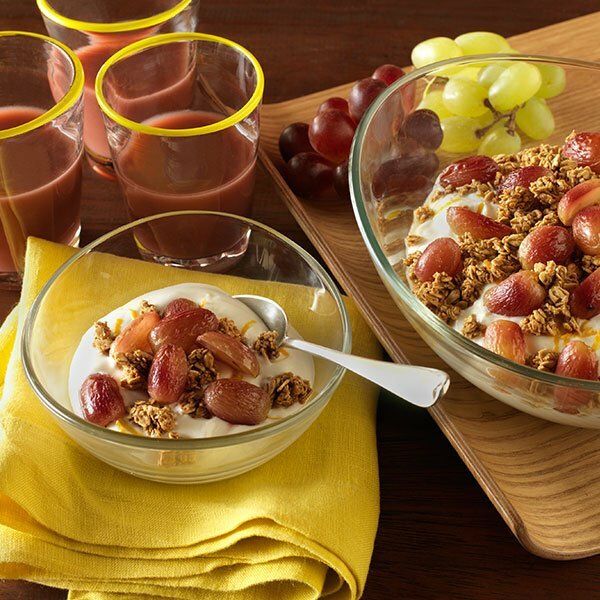 Divide yogurt among serving bowls and top with granola and roasted grapes. Chilean grapes are available in North America from December through May.